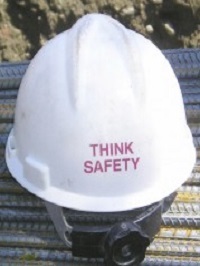 Construction is a unique industry in terms of safety challenges and advancements. We make it our number one priority to provide our work crews with the necessary tools to complete every job in the safest manner possible. We understand that through careful planning, proper training, and consistent attitudes of safety we are able to prevent accidents. We have a corporate safety team that is dedicated to monitoring key projects that could create hazardous conditions and eliminating the risks associated with those conditions. Safety is the key responsibility of each individual and we emphasize that all work is to be performed in the safest manner possible consistent with good construction practices. 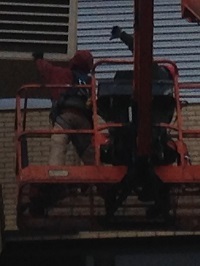 In a time where OSHA Construction-10 is the norm, we take it a step further. In an effort to increase safety awareness and in conjunction with S.M.A.R.T. Local Union No. 12, every one of our employees not currently OSHA Construction-30 certified is in the process of completing the 30 hour training course. After 2016, every employee, from apprentice and journeyman to our owners, will be OSHA 30 certified. We also ensure each employee has completed training in Safe Operation of Aerial Lifts, Infection Control Risk Assessment (ICRA-8), First Aid, CPR and AED. 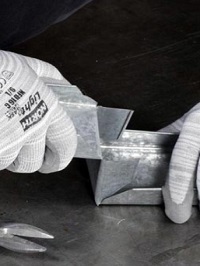 We make sure that our craftsmen are trained in the most advanced OSHA approved and certified safety programs. When you work with us, you are getting a drug-free work force. Each of our employees is an active participant of The Western Pennsylvania Construction Industry Drug Free Partnership. As a Drug Free Workplace, we only employ members/employees that have a “current status” in the Drug Free Workplace program eligibility pool. We are proud that we have taken the steps to create a drug-free partnership that says “no” to drugs on the job site, which in turn keeps your work site safe.